Elaine is a sparkling, vivacious, motivational public speaker, known and loved by thousands for her warmth, and spontaneity, and personal inspiration to others toward a greater joy of living. Even at 90 her appearances are vital, dynamic and life changing to people of all ages. She stimulates, motivates and educates! Since her early days as a television pioneer, and host in 1948, Elaine has lit up screens all over America. She was also an integral part of her husband Jack LaLanne’s television programs, speaking, and other public engagements. As a solo speaker, Elaine was sponsored by Post Cereal promoting her program and her book, Dynastride, a walk and exercise program for all ages. She also toured the country promoting her books. Elaine has invigorated the Jack LaLanne Power and Fusion Juicer infomercials and has made appearances on countless television programs such as The Today Show, The Early Show, Friends, Fox and Friends and Howard Stern. Her unique insight towards nutrition and staying in good physical condition is the reason Elaine commonly becomes a recurring guest at many places where she speaks. At 90 she still hasn’t slowed down and can still do full body push ups. 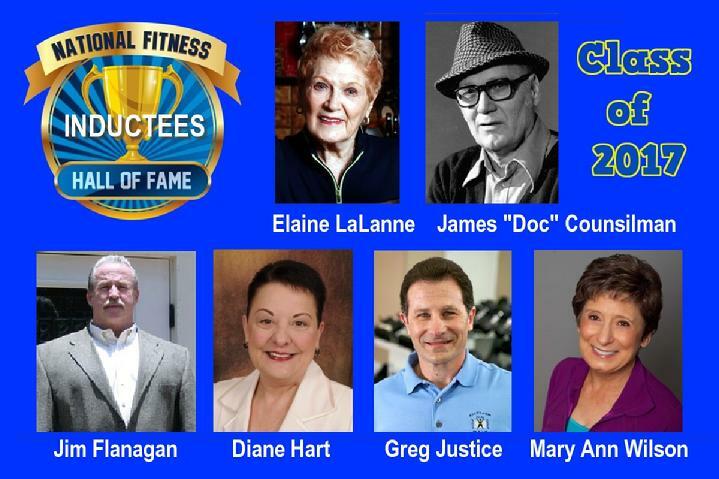 Her years of experience combined with her contemporary business savvy provide an exclusive insight into Jack Lalanne as she answers everyones questions about her husband. Her presentations even include footage of some of his superhuman feats of strength! Elaine LaLanne, she looks young, she acts young, and inspires her audience to be young at any age! With infectious excitement, she paints a picture of the “YOU” that you want to be. Executive Director, Creator/Host of SIT AND BE FIT. Mary Ann Wilson, RN began her career as a registered nurse, specializing in geriatrics and post-polio rehabilitation. In 1985, while teaching aerobics to older adults, Mary Ann noticed a high incidence of injury and attrition among her students. In response, she designed a gentle program tailored to their special needs. As students began reporting marked improvement in their physical and mental health, Mary Ann became convinced that there was a need for this type of exercise program on a national level. With persistence, she convinced the PBS station, KSPSTV, to produce SIT AND BE FIT. In 1987 the first series of 30 programs was distributed nationally to PBS stations. The program was an instant success, and today, thirty years later, SIT AND BE FIT remains a feature “how-to” program on public television. Mary Ann is the creator and host of 330 nationally syndicated television episodes and 34 workout products. She continues to teach fitness classes at local retirement communities and uses feedback from her students, as well as ongoing research, to continually update the SIT AND BE FIT television series. Mary Ann has authored several health and fitness publications, and has been featured as a guest columnist in health and aging newspapers and magazines. She also educates healthcare professionals, caregivers, and hospital personnel at national and international health conferences. Greg Justice, MA, is a best-selling author, speaker and fitness entrepreneur. He opened AYC Health & Fitness, Kansas City’s Original Personal Training Center, in May 1986, and has personally trained nearly 60,000 one-on-one sessions. Today, AYC specializes in onsite corporate wellness, personal and small-group training. Jim Flanagan, A former career physical educator, met Arthur Jones in March of 1971. As the result of that first meeting, Jim's career changed dramatically as he became an early Nautilus customer and later, an employee of both Nautilus Sports/Medical Industries and MedX Corporation. His relationship spanned thirty-six years with both companies and their founder, Arthur Jones. Jim purchased a full line of Nautilus equipment from Arthur in 1973 and proceeded to open Orlando, Florida’s first fitness center, Jim Flanagan’s Nautilus Fitness Center. Jim was instrumental in the launching of both companies (Nautilus & MedX) on a global level and the spread of High Intensity Training worldwide. During that time, Jim traveled the world speaking, training and educating in the proper methods of high intensity strength training. He worked with Hall of Fame coaches and athletes, Olympic athletes, Bodybuilders, movie stars, military agencies and government officials. In 1998 he accepted the honor of Governor’s Leadership Award presented by The Florida Governor’s Council on Physical Fitness & Sports. In 2002, fifteen years ago, Jim launched Resistance Solutions, Inc., an S-Corp business consulting company, as President of RSI, Jim continues sharing his unique experiences with Arthur Jones and enjoys providing in-depth insight on the application of high intensity strength training. Ms. Hart is the President and Executive Director of the National Association for Health and Fitness (NAHF) and the recipient of the prestigious 2016 Lifetime Achievement Award from the United States President’s Council on Fitness, Sports and Nutrition. Diane was selected by the Council’s members based on the span and scope of her career, the estimated number of lives she has touched and the impact of her legacy. NAHF (a 501c3 nonprofit) has as its mission to improve the quality of life for individuals in the United States through promotion of physical fitness, sports and healthy lifestyles. James “Doc” Counsilman is most noted for his 33-year coaching career with the men’s swimming team at Indiana University (1957-1990). Basketball coach Bob Knight once said: "Doc's legacy is simply that he is one of the greatest coaches who ever coached any sport, anywhere, in any era." Doc’s Indiana teams won six consecutive NCAA Championships and 23 Big Ten titles. He served as the head coach for the 1964 and 1976 US men’s Olympic swimming teams. His Indiana swimmers won 47 Olympic medals, including 27 gold. This amazing coaching career was the direct result of his life-long study of swimming, leading to innovations in training methods, the biomechanics of swimming, and sports psychology. His laboratory was the pool, and he translated what he learned into enormous successes for his swimmers. In 1979, at age 58, Counsilman became the oldest person to swim the English Channel. Doc emphasized that older people sell themselves short, both physically and intellectually. He wanted to show that an older person is capable of accomplishing more than previously expected. His accomplishment stimulated an interest in older people making the crossing that did not exist prior to his swim, an interest that continues to this day. Counsilman was an early advocate of weight training in swimming, demonstrating its effectiveness when he coached George Breen from beginning competitor to Olympic bronze medalist in just three years. Doc also pioneered the use of underwater photography to study stroke mechanics. His award-winning stroke analysis films have helped thousands of swimmers to improve their technique. He also developed isometric, isokinetic, and bio-kinetic exercise machines to improve swimming performance. Starting in his basement, he constructed the first commercially available pace clocks, now used by every competitive swimmer in the world. Doc had a huge influence on the evolution of fitness while becoming a worldwide icon in competitive swimming. He was a consultant to the President’s Council on Physical Fitness, 1960-1980, member of the President’s Council on Physical Fitness during the Nixon administration, Hall of Fame Inductee of the American Association of Physical Education, Fellow in the American College of Sports Medicine, and member of the International Swimming Hall of Fame. Counsilman published more than 120 articles, four books, and gave lectures and clinics throughout the world. His 1968 The Science of Swimming is the Bible of swimming instruction and has been translated into over 20 languages.